The NSR Isabella gasifier is a four inch model capable of running small engines in the 3-8hp range. It offers a compact size with mild air preheat to improve the gas potency. It is available as a kit or a ready to run complete unit. It runs on pellets ONLY. The Isabella also has a dedicated gas cleaning system which makes it the NSR Mini Gas Station. 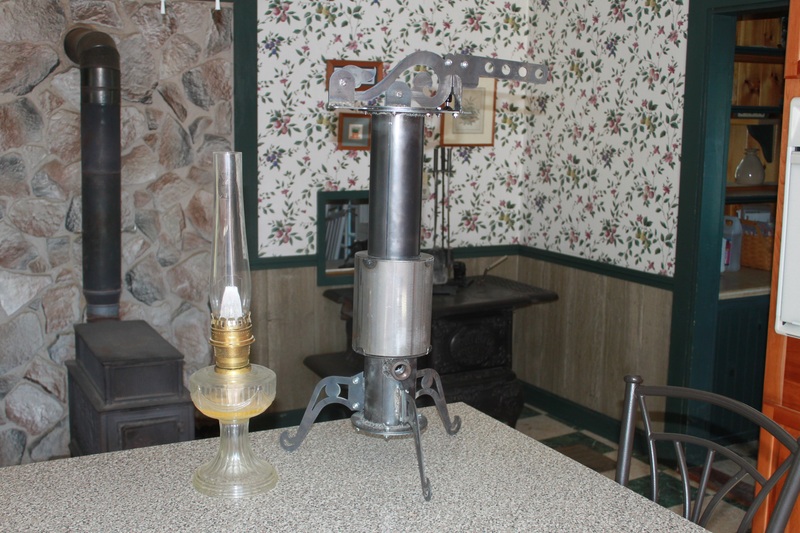 Isabella gasifier price: $350 plus shipping. Hi Jean-Michel. Yes. I ship to Canada. International shipping is not a problem.